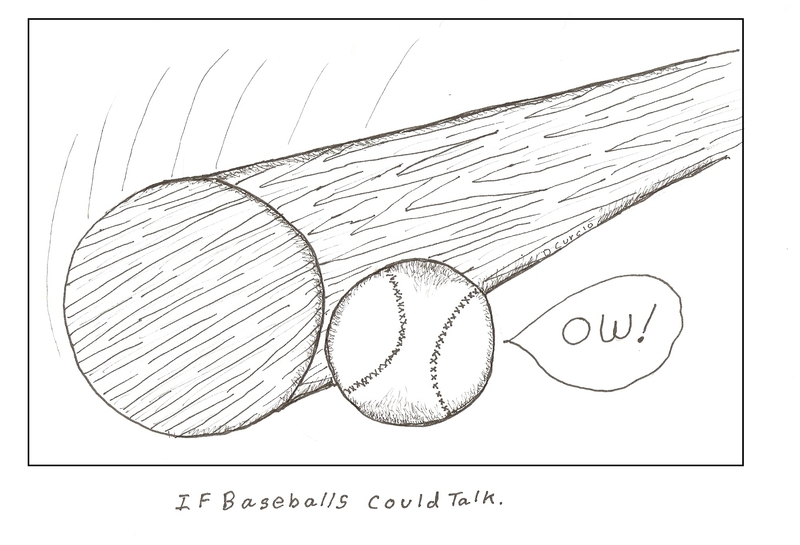 I prefer my baseballs silent. If you noticed that the quality of my comics has improved today, it’s because I finally added some shading. I know what you’re thinking but sometimes the obvious comes a little harder for some of us. Actually I was looking at an old Calvin and Hobbes book I had and noticed what my comics were missing. As I’m not really a trained artist I have to look at others artwork and try to steal the techniques I am capable of duplicating. Let this be a lesson, always steal from those who are better than you are also almost everything created or invented was at least partially based on someone else’s work.